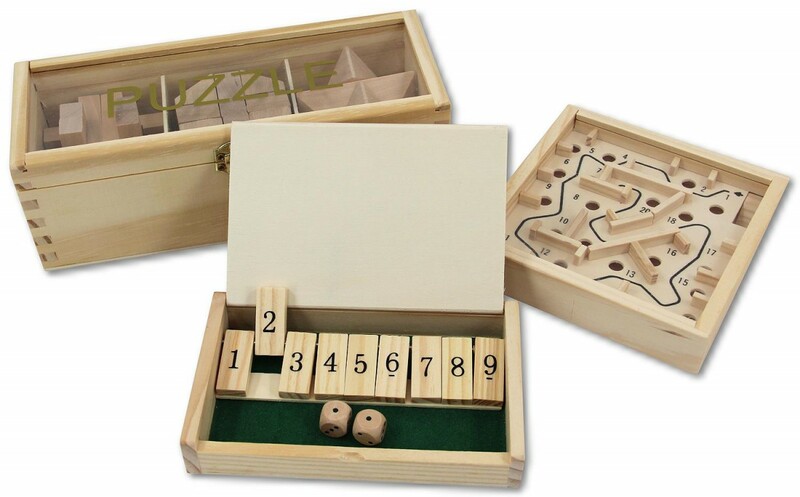 We have put together three of our wooden games an interesting and attractively priced set. The games are particularly suitable for the journey, the fast game in the office, or as a gift. Perfect Mini Variation of the classic game. Unit made of wood with 9 shuts. Size approx. 137 x 84 x 22 mm. 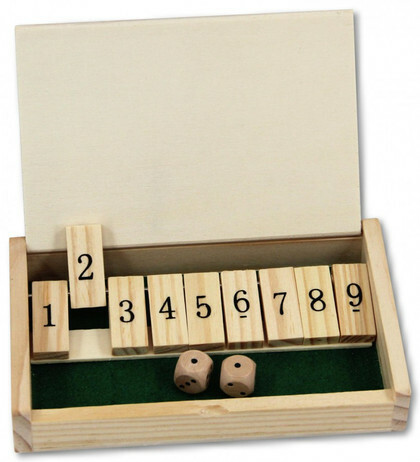 The mini version of the popular game of skill, for travel or office. 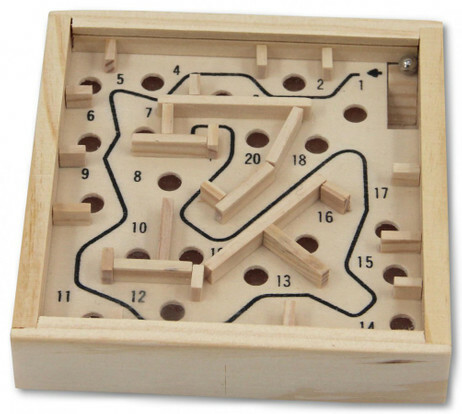 The game is made of wood with clear cover and metal ball, size 120 x 120 x 25 mm. 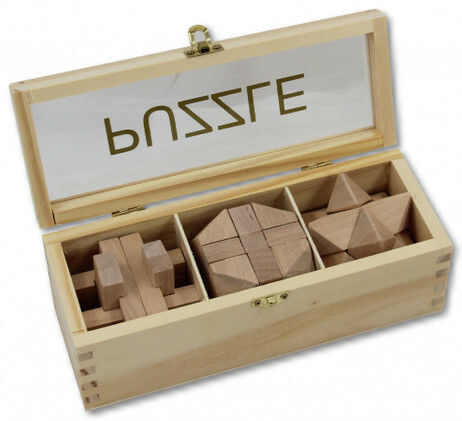 Set of 3 wood - Puzzles in chic wooden box with transparent cover and closure, of course with solution. Size of the box: about 203 x 78 x 75 mm.